I’ve been off air for a while, and somehow I have landed myself an afternoon where I do not have a hundred things to do. I have made some yogurt, done some washing and done the couple of little fencing jobs I needed to do. Matt mowed the lawns yesterday, so I don’t need to do that, I have no coconut oil so I can’t make soap, no hard cheese culture so I can’t make cheese. I’ve got a freezer full of bread, the garden supply place is closed so I can’t build another garden. I literally have actual free time. So it is probably time to walk you all through this fabulous place I now get to call home. The house itself is smaller than the old one, but much better laid out, and the two side-by-side double garages more than make up for any space the house may lack. The setup of the house is basically open plan living and dining with the rest of it set up in a semicircle around the main lounge area. The grown-ups’ TV room and master bedroom are at one end, kitchen, laundry and main bathroom along the back and kids rooms at the other end. The kids have opted to sleep in one room and have the other as their play room. This gets around my ban on TVs in bedrooms and means they still have their own space to hang out in. 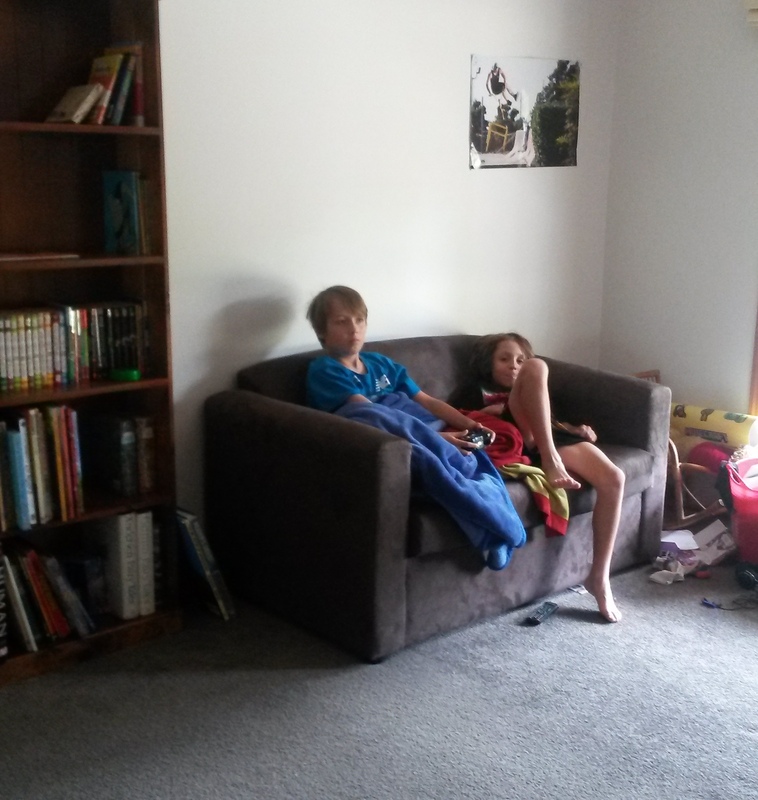 The boys on their new couch in the playroom. Outside is where things really get interesting, of course. 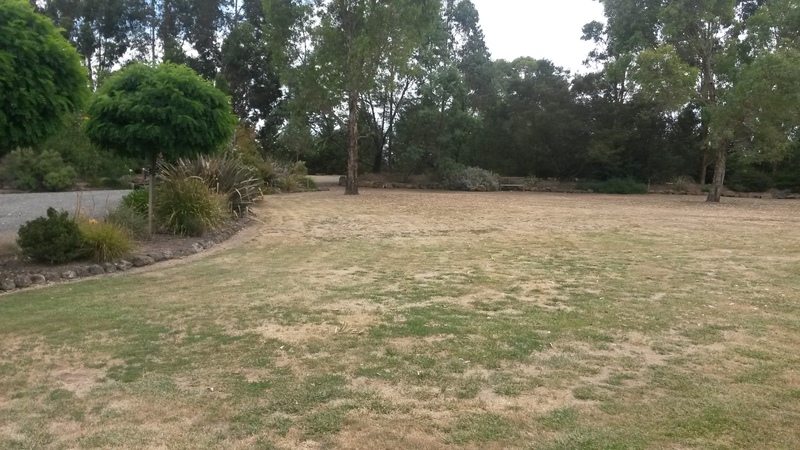 The previous owners had left the entire 20 acres intact, with no internal fencing. 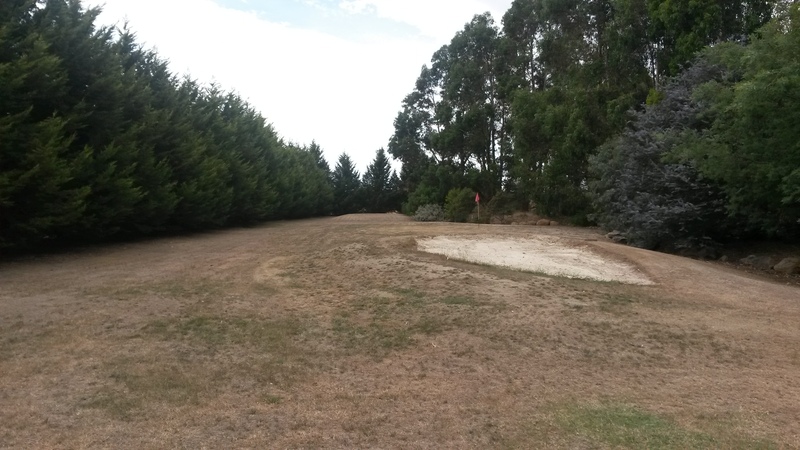 They had created a 3-hole golf course among the park-like gardens. I have mentioned before how private the property is. I really am awestruck by the amount of work that must have gone into creating the garden. From the house you can’t see the front gate, as you come in the driveway you go around a corner and the outside world disappears. 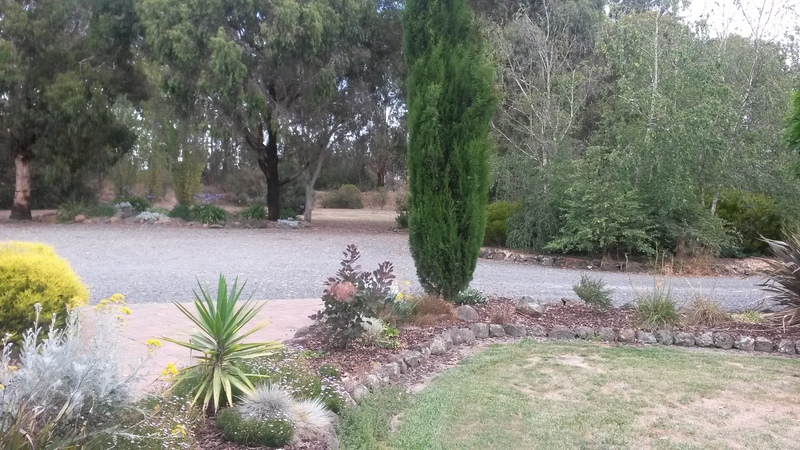 View from just inside the front gate. These next couple were taken from the front porch. With a clean slate in regards to internal fencing, we kept things basic. 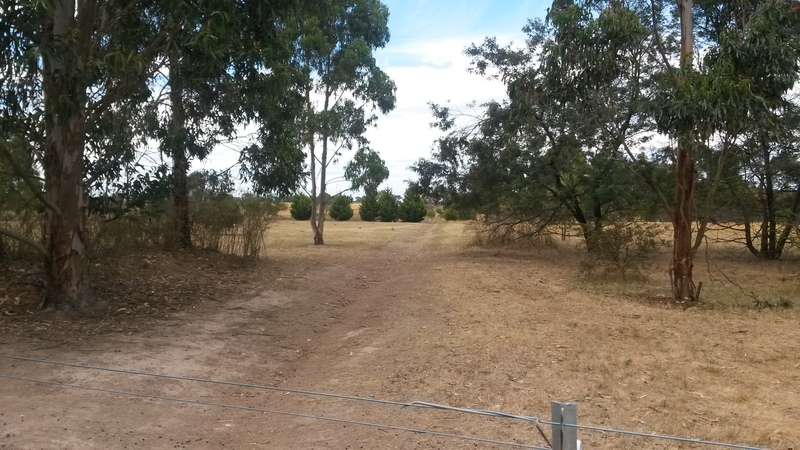 Geoff Ross – The Hotwire Man did the fencing for us, with two strands of electric stand-off on the goat paddocks and heavy-duty chicken wire to keep the poultry away from the dogs. 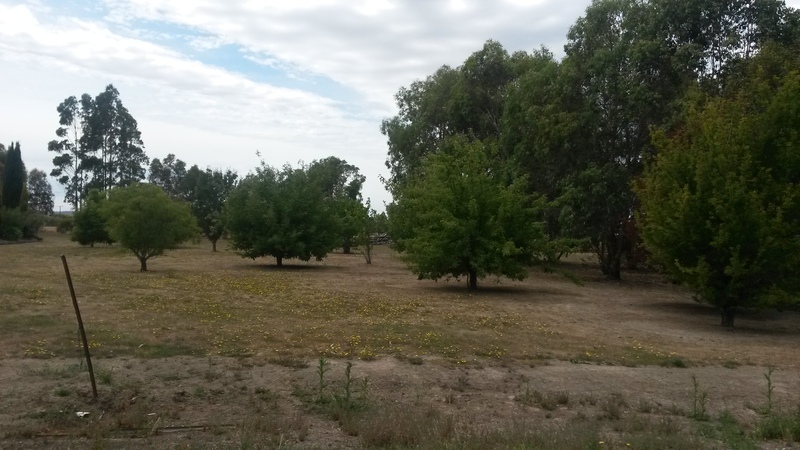 We basically cut the back 10 acres off into a big paddock for the does, put a couple of smaller paddocks down the western side for the bucks and put a yard around the machinery shed to make a farmyard. 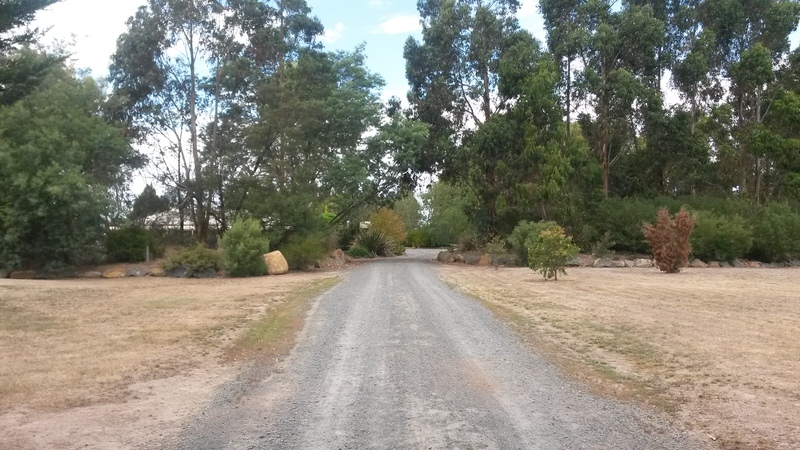 There is only one gate from the house yard to the animal areas, with the other paddocks all accessed via the farmyard. This means there is only one way in and out, only one weak point to manage, and only one gate to remember to close. 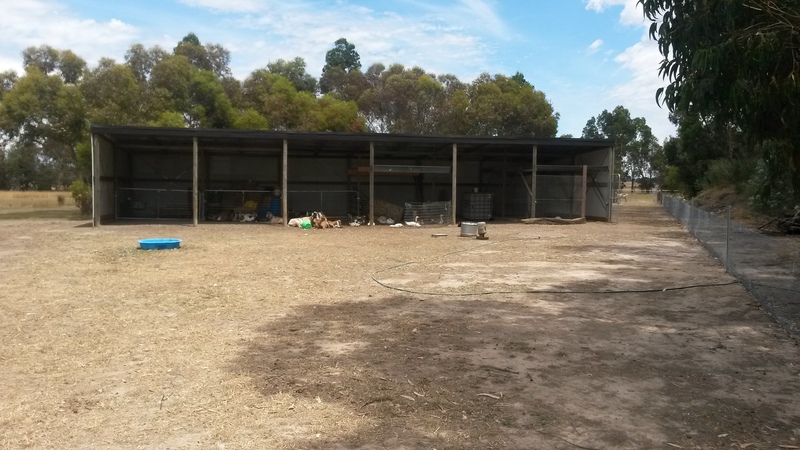 Six bays of machinery shed have been turned into a dairy, feed room, feeding pen and chook enclosure, with a couple of spare bays to become more goat pens down the track. 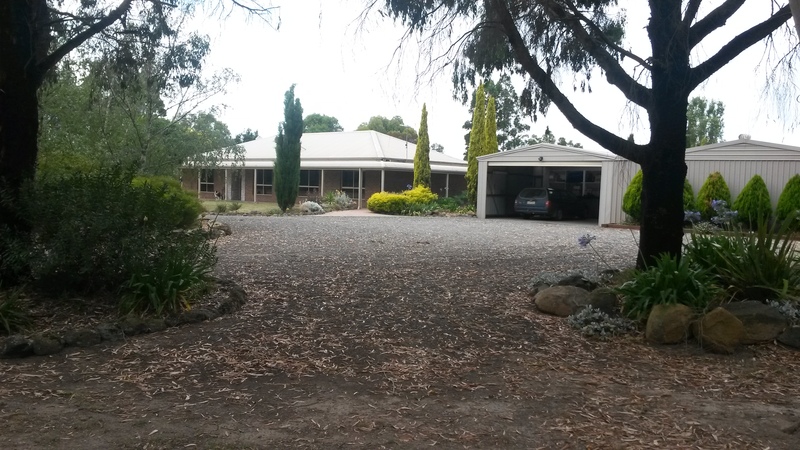 A stand of flowering gums shades the shed in the afternoon. A drain leads down the paddock to a dam, which is just behind the row of cypress trees. There are several stands of native trees and a wide variety of pasture and weed species to keep a herd of browsing goats occupied. The orchard appears to have been mainly ornamental, but there are plum, apple, pear and cherry plum trees, as well as something that could be a nut tree of some sort. They have been let to grow way too big, and most have dropped nearly all of their fruit. Hopefully once they have had a fairly drastic prune in winter they will yield well next year. One of the pear trees has managed to hang onto its crop, as has the cherry plum, so we may yet get something useful this season. Beside the farmyard is a forest of dill that has naturalised, there are dozens of huge plants. In one garden bed there is a great, rambling rosemary bush which came in handy for seasoning the roast lamb at Christmas. Of course, all this garden with barely any existing food plants is not really my specialty. 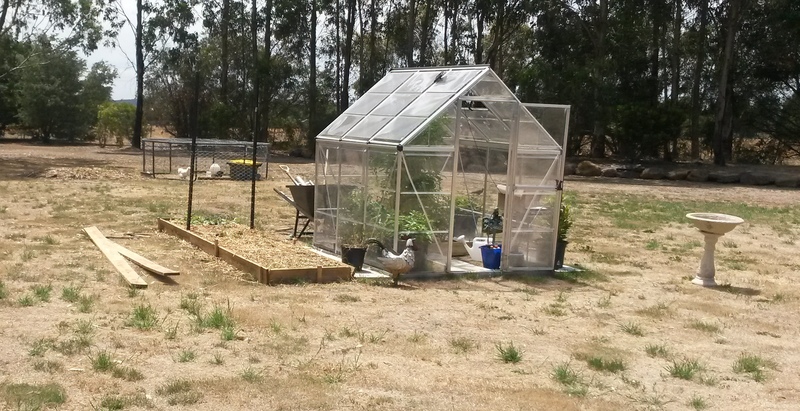 We brought the greenhouse from the old place, and it now forms the centre of the new vegetable garden. I have started on a mandala garden for annual edible plants, complete with integrated poultry system, aka the Silkiedome. The idea is that the Silkies will move around the circular garden, cleaning up and turning over harvested beds while eating the leftovers and adding fresh manure. The rectangular fixed garden beds beside the greenhouse will be used to grow self-seeding crops like silverbeet and longer-lasting plants like berries. And lastly, this is the rose I brought along from the old house. The horse ate all the buds off when she was meant to be tidying the lawn before we moved. 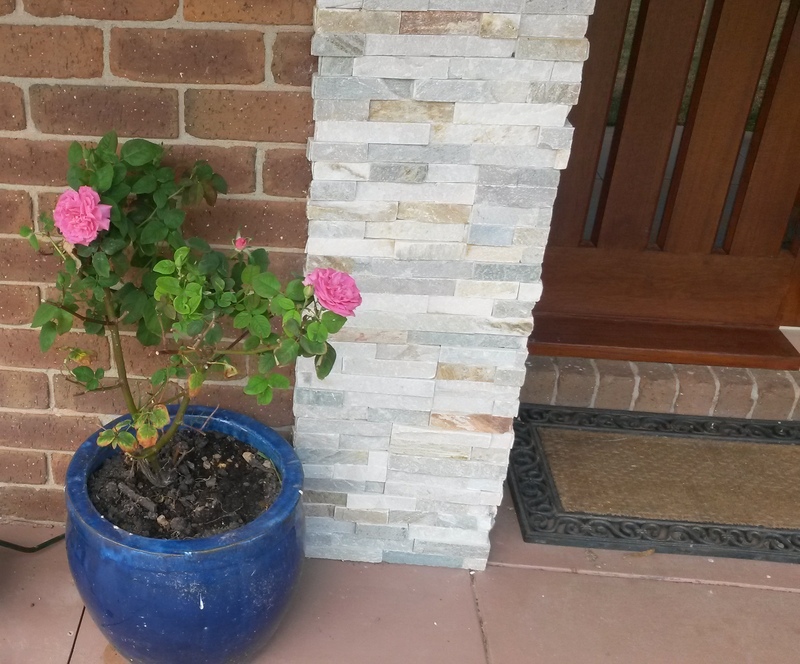 The unearthed and transported rose has just started to flower again beside the front door. There are so many little things that make this place great. The kitchen is amazing. The huge 900mm oven with gas cooktop allows me to bake four loaves of bread in one go. Not only do the trays fit, I can put two pizza trays in it side-by-side. There is an appliance cupboard for all my gadgets. And if the fridge hole was way too small for my awesome new fridge (which we bought about a fortnight before we bought the house, replacing my old fridge which died), it is the perfect size for the cheese fridge with the microwave on top. 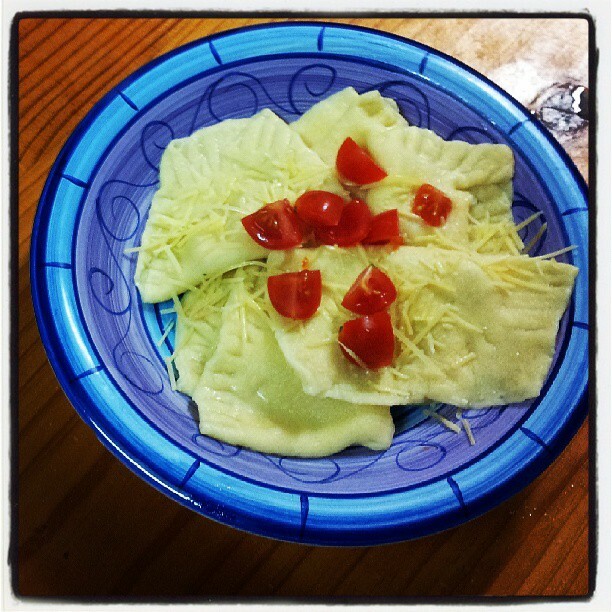 I spend so much time in the kitchen, so it needs to be practical and durable. This one certainly fits the bill, and looks good doing it. The back deck adds roofline for collecting rainwater and also provides a great place for humans and dogs alike to hang out in summer. They put laserlite above all the windows along the deck, to let the light in while keeping the sun off, and there is a rainforest garden bed along the wall. The main water tanks are surrounded by a six-foot mesh fence, which makes a great yard to secure the dogs in when there is nobody home to keep an eye on them. When we first inspected the place I noted the lack of cooling in the house. Between the blinds, the brick veneer, the verandah and deck and the excellent blinds on the windows, I don’t think we will need additional cooling. I guess we will put it to the test with these upcoming hot days. The house came with four TVs mounted to the walls and a surround sound system in the second living room. So far two of the TVs have been taken down, we have given one of our existing TVs away and there are four of them in the garage. The kids have one in their play room and there is one in the grown-ups TV room. The master bedroom and main living area TVs have been removed. The washing machine slot in the laundry was incompatible with our existing top-loader, so we now also have a brand new front loader. The laundry here is an actual room, with loads of storage, so things like the animal first aid supplies and my soap making equipment are stored in there. The milking gear now lives in the laundry instead of cluttering up the kitchen sink, the dog food, shoes and vacuum cleaner are kept out of sight, reducing the general clutter. There are actual working fans and ceiling heaters in both bathrooms, and even a real bath. Everything is so peaceful, there is plenty of space, the animals are happy and thriving. There are no rats in the shed (yet), no crows stealing eggs or flying off with baby goslings, no gorse, no car-swallowing potholes in the driveway. We have moved to a smaller house on a smaller block, spent a small fortune and ended up with something much greater, much more valuable. And after only a few weeks, it already feels like home.